Swallow, daughter, pull them in, those words that sit upon your lips. Lock them deep inside your soul, hide them 'til they've time to grow. Close your mouth upon the power, curse not, cure not, 'til the hour. You won't speak and you won't tell, you won't call on heaven or hell. You will learn and you will thrive. Silence, daughter. Stay alive. The day my mother was killed, she told my father I wouldn't speak again, and she told him if I died, he would die too. Then she predicted the king would sell his soul and lose his son to the sky. My father has a claim to the throne, and he is waiting in the shadows for all of my mother's words to come to pass. He wants desperately to be king, and I just want to be free. But freedom will require escape, and I'm a prisoner of my mother's curse and my father's greed. I can't speak or make a sound, and I can't wield a sword or beguile a king. In a land purged of enchantment, love might be the only magic left, and who could ever love...a bird? This book had a really magical and poetic feel to it. I really liked the character of Lark, who was kind and compassionate, and always eager to learn. I also liked King Tiras, but for some reason, the romance between the two did not do much for me, but it did have occasional moments. I think this book has some really great aspects to it, but despite that, I had a hard time getting into it. I still found it entertaining, and I'm glad to have read it, but I don't think I would ever pick it up again. 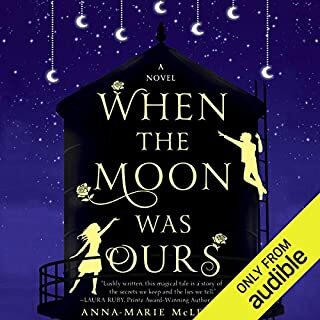 I listened to the Audible audio version of this book narrated by Trina Nishimura, and while she has all the characteristics I look for in a narrator - good pacing, unique character voices, etc. - she came across a little too melodramatic for my tastes; either that, or it was her cadence that struck me as odd and distracted me a bit. 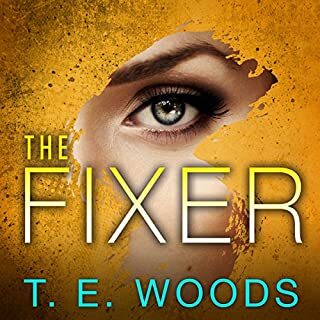 Overall, this was an entertaining book, and I can completely understand all the 5-star reviews, but it just didn't quite come across as "epic" for me. I am an unabashed Amy Harmon fan. She cannot write a bad story. So, when I learned of her foray into fantasy, I was a bit taken aback. But, hey! It's Amy so it's going to be good. So, I READ the book first and loved it. HOWSOMEVER, this production of The Bird and the Sword is nothing short of breath-taking. Trina Nishimura makes this book so real, so powerful and so moving, I had to find a quiet and peaceful place to listen to be able to absorb, feel and react. The combination of Ms. Harmon's exquisite writer's voice, the creativity behind developing a WHOLE universe, and her incredible 'gift' of story-telling is frankly phenomenal. Of course, this whole story is a lesson we are so in need of now...of recognizing people for who they are and what they bring to our lives. When you layer on the crystalline and finely tuned voice of Ms. Nishimura with her compelling 'gift' of making EVERY SINGLE CHARACTER come to life and you have a book that is listen-worthy to the max. Do NOT miss listening to this wonderful book and if truth be told, it's best listened to AFTER you've read it. The depth that comes to life is truly magical. I enjoyed this book. Read it as a fairytale. Accept that like most fairytales, the magic and world aren't the crux of the book and are secondary to what people are and how they interact. This book kept me interested. The characters are solid. The story flows well and the author landed the ending well, too. A Fine Romance That Owes Much To Fairy Tales! Would you think less of me for wanting to read just a plain, simple, nice romance every now and then? "The Bird and the Sword" is that plus the hints and fantasy that it's categorized as. Lark is a really likable main character, and she's written well. Indeed, the whole of the book is well-written, capturing the beauty of nature and beasts, of battles and wars, of strife and hard choices to be made. It's filled with yes, romance between the two main characters, but also with greed, loss, grief, and hope. While much of it is predictable, it has plenty of scenes that I simply did not see coming (though I'd hoped them far beforehand). Trina Nishimura's narration is wonderful and dramatic, but I dinged her a single star as sometimes she does go over the top with the passion of the moment. A really nice way to spend 11+ hours. While I never cried, I must admit I did wind up with a lump in my throat a time or two, but would you think less of me for that either?!? This was an interesting and well-written book. At first I was not getting into it and maybe got confused a little (be sure you don’t miss the beginning parts of this book!). But, as the book went on, I started enjoying it more and more. The story line builds very nicely and the character development is great. There are not too many characters which is good for a distracted reader like me. I really appreciate this being a standalone book. Sometimes I get a little overwhelmed when everything (especially fantasy books) are in a series. It’s nice to have a book that is complete and has an ending. This book is classified as a fantasy book (rightfully so) and as a romance book. While I don’t mind romance-type novels, I do not necessarily gravitate towards them. In any case, I didn’t get a lot out of the romance of this book, like it wasn’t developed enough. However, it was nice and maybe just the right amount. While I really enjoyed this book, I felt like it was a little slow for me. It’s good as a ‘slower’ book, but maybe I could have used a little action and excitement. I was a little uncertain of the narrator at first. I wanted her to throw her voice more for the different characters. Though, as the book went on, I started appreciating her subtle differences more and more. 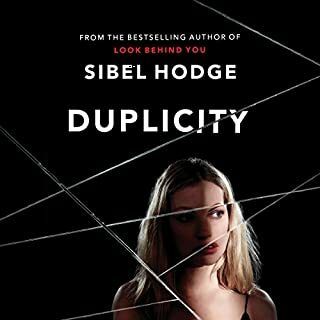 However, her emotion and tone are just terrific and make this book well-worth listening to on audio. I fully recommend it. This book was impossible to stop listening too. Wonderful characters, fantastic story, great voice acting. I will definitely listen again and will definitely listen to more from this author. 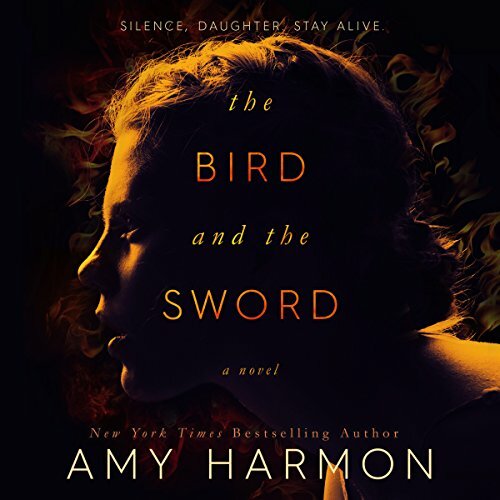 5 ★ Audiobook⎮From start to finish, The Bird and the Sword was the perfect Fantasy novel. With poetic writing and strong character development, Harmon left me in awe. This novel had a strong sense of direction throughout. Instead of employing cheap tropes and other overused literary tactics to falsely enamor the reader, Harmon let her uniquely lyrical writing style carry the story. 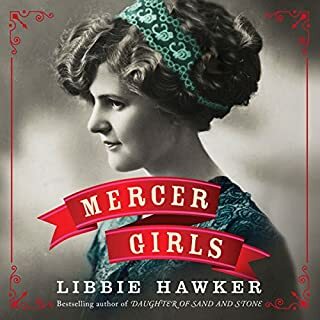 To say that this audiobook was a joy to hear what would be a severe understatement. The Fantasy genre has a tendency to become unnecessarily complex. Authors frequently feel that they have to conduct purposeful world building, which can feel forced. Harmon’s world developed through her characters, not around them. They weren’t just in the world, but also of it. The Bird and the Sword was beautiful in its simplicity. Lark, the protagonist, proved that heroines can be heroes and heroes can be weak. A story’s hero isn’t always the loudest voice in the room, the physically strongest, or “the chosen one”. Sometimes the hero of a story is someone who said the wrong thing at the wrong time and set the wheels of fate in motion. Forgive me for waxing poetic, but The Bird and the Sword is quite possibly the most beautiful story I’ve heard all year. Lark will forever be one of my most beloved characters. This was one of the few times I can definitively say that I am 100% satisfied as a reader. Harmon tied everything up so neatly, eloquently connecting all loose strands, and the ending left me speechless. There is no question in my mind as to how or why The Bird and the Sword is so highly rated on Goodreads. Even from the very beginning, I knew I was listening to something magnificent. Unbelievably, that magnificence never wavered. If you’re in search of a breathtaking Fantasy, look no further than The Bird and the Sword. A lot of the best fantasy is ultimately about language. Tolkien began, after all, with his linguistic experiments around the language of the elves and orcs, and the stories grew from there. Ursula K. LeGuin’s Earthsea trilogy has an entire system of magic around the notion that the world came into being when the first human spoke the true language, and now all magic is the residue of that same speech. And J.K. Rowling makes a big deal about how important it is for her young wizards to pronounce words just-so, to appreciate the power of the individual word. A lot of powerful feminist literature explores what it means for a woman to lose her voice. Whether it’s something like The Little Mermaid story or The Handmaid’s Tale, we’re called on to interrogate the degree to which women are subjected to control by the removal of their voices, by silencing them. 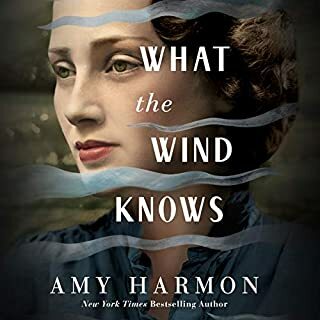 Amy Harmon marries those two traditions in this gently magical story of a young woman who discovers power, love and a sense of her own desires through the process of recovering the voice taken from her as a child. This is fantasy in the broad sense of the term: it’s a story that invents a new world in order to comment on the one we know. It may not be “high fantasy” in the sense of the endless parade of Tolkien/Martin wanabes, but that’s a good thing. Instead, it’s a story that spins a new mythology from the long tradition of fairy tale. This is also a story that goes in unexpected places. Lark is a lord’s daughter whose life is overturned when the king discovers that her mother is “gifted,” that she has the power to give “words” that reshape reality. The king has the mother summarily executed, but not before she can level curses upon the king and his son, and she can command her daughter to silence so that she will not suffer the same fate for exercising her power. To the degree that this book explores the feminist trope, it’s telling that it’s another woman who silences Lark. And she does so not out of jealousy (as another woman attempts to do late in the book) but for her own protection. It’s hard to judge the mother: has she acted wisely to defend her daughter, or is she frightened of this particular female power? I like that the answer isn’t clear, that this is a real novel, not a political tract. It asks a powerful question – how do we accommodate a woman’s power – and then it allows multiple answers to emerge. Similarly, Lark gets taken hostage years later by the new king, only to discover that her mother’s curse has left him gifted as well. He has the capacity to change into an eagle, but he can’t control the process. As her mother promised, he is losing himself “to the sky.” Again we see the ambivalence of the situation. This power is, in its way, welcome, and the king acknowledges later that he has always dreamed of flying. Yet it also limits him. It’s both a curse and a gift, an experience of the world that makes him more and less likely to tolerate the “gifted” community his father sought to exterminate. We see the dynamic with Lark’s father as well. Early on he’s praised for being a mild, unambitious man, the perfect mate for Lark’s mother who might shine too brightly if she were nearer the throne. Later, he becomes a key player in the chess game to determine who will be named successor to the dying king. He’s Lark’s protector, but he also likes her as silent; he doesn’t want to see her power unleashed. And to top all of that off, Harmon writes with real skill. Her prose is lyrical and engaging, but it’s never overwrought. It feels like a fairy tale, but it never resolves itself into something as straightforward as that tone would suggest. I do think there are spots where the action drags (but that might be my fault for getting distracted for days at a time as I read this and therefore coming to it with more gaps of time than I usually do). For a story that comes to depend as much as this does on intrigue, there might be more of a run-up to the political crises in the last few chapters. All in all, though, Harmon writes so beautifully, and she does so in the service of such legitimate literary questions, that I enjoyed this very much. This story has throwback to so many fairytales, but it's definitely original. It has a poetic feel. The leads are likable. It's very easy to root for them. No one is overly perfect, and no problem is easily solved. I like how the characters question the morality of a situation. The storyline is well-weaved. 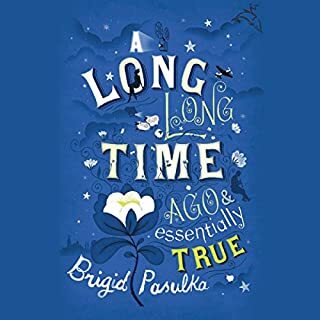 For sure check it out if you're interested in romantic fantasy that falls somewhere in between Children's and Household Tales (Grimms') and Disney or maybe off to another side. A combination of narrator style (inconsistent voices not only from page to page but also within phrases; use of high piping voices for most female characters and some male characters ; excessive use of emotionally extreme tones that made the characters seem even more unstable and juvenile than written) and insipid writing (relying heavily on antiquated gender norms ; an inconsistent magic system that changes to serve plot line; minimal character development; plot twists and red herrings that lack establishment and so seem random) made this book a bust for me. I wasn’t expecting that much but really enjoyed this story. The characters were so well written and the narration was perfect. I want to find more from this author or and narrator! I listened to this book every chance I got. The story had refreshing fantasy elements and the romance was sweet. The only downside for me was the over dramatisation of some scenes. I very much enjoyed Trina Nishimura’s use of characterisation and pace, however some scenes were just too rushed and desperate. Overall, definitely a book I will enjoy reading again. Have loved this book and read it a couple of times now. This audible edition mirrors the Beaty of the written words.